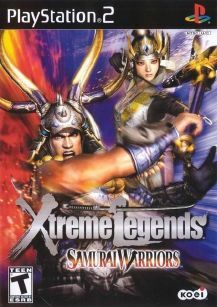 Xtreme Legends adds a host of new features to the original Samurai Warriors. Now you can play as one of four new warriors, each with a unique story with its own branches and multiple endings. Lead a campaign on the new Battlefield of Komaki-Nagakute while mastering new items and skills. Also new are VS mode stages, a Survival mode course, and difficulty levels. In addition to adding new features, Samurai Warriors: Xtreme Legends enhances existing features, such as the character growth system and artificial intelligence balance.